I’m finally starting to recover from my whirlwind trip to Las Vegas for Cosmoprof. The Palazzo hotel hosted me from July 8-11 for the entire conference. The show was amazing but exhausting! 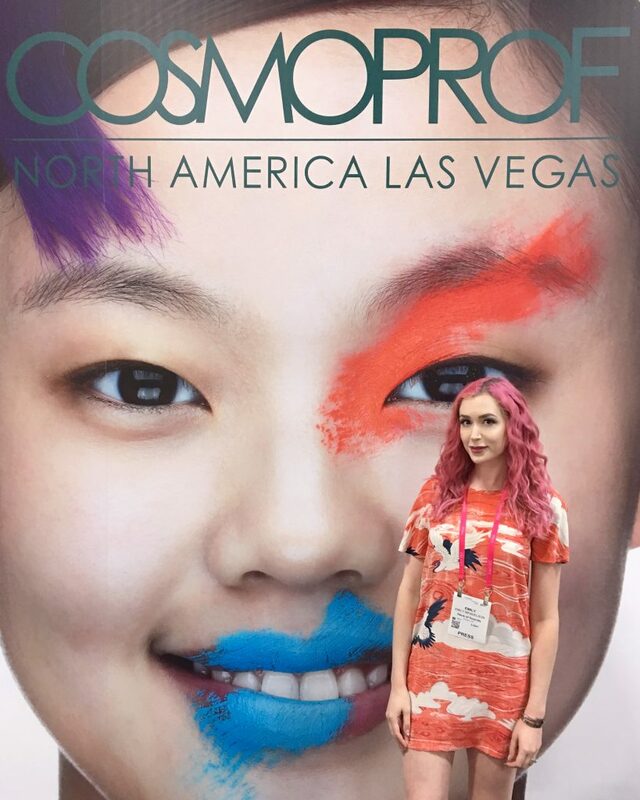 In case you aren’t familiar with Cosmoprof, it’s one of the largest international beauty conferences. Thousands of brands from around the world set up booths to show off their new products to the rest of the industry. They aim to connect with buyers and press, as well as learn from the innovations of other brands. 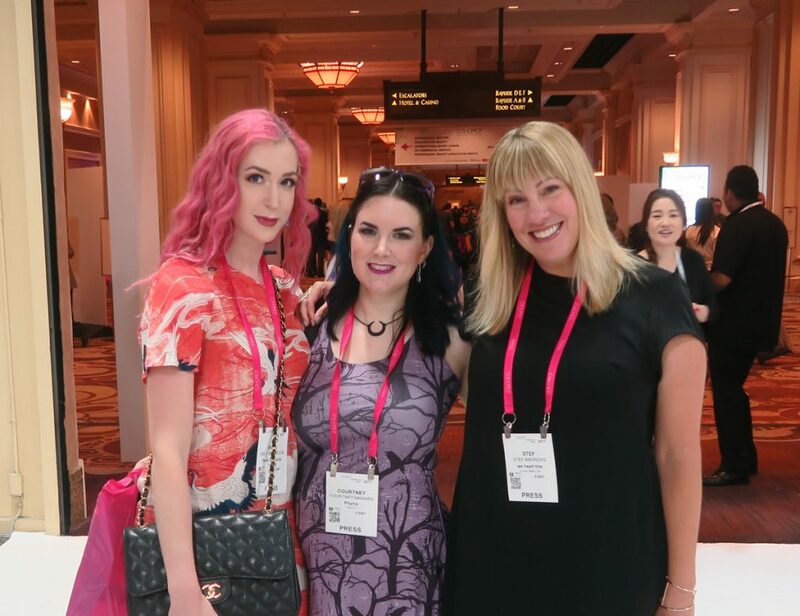 My beauty blogger friends and I attended in order to visit with brands and develop business relationships with them. I had never been to Las Vegas before so I was a bit nervous about whether I would like it or not. However, as soon as my Lyft driver pulled up to the Palazzo hotel, I knew I was in for a treat. The place is absolutely EPIC (and I never use that word)! 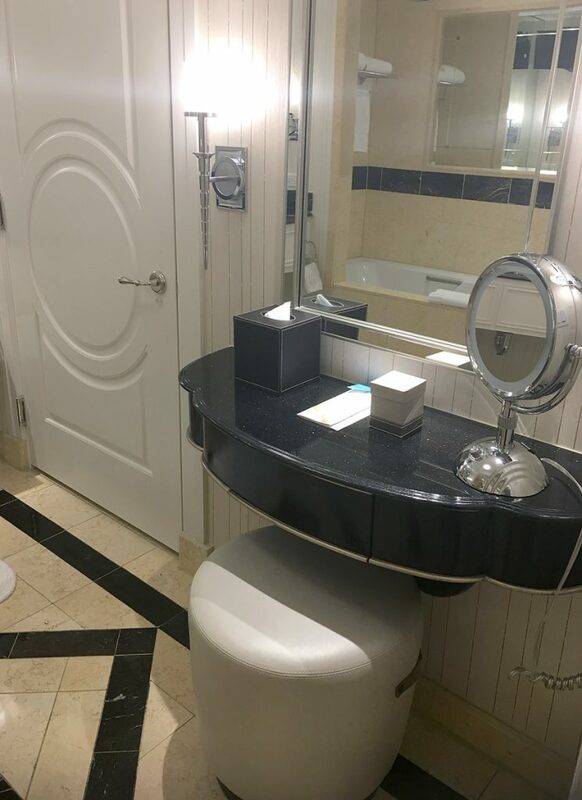 My room was gigantic (larger than any other on the Strip) and had the most gorgeous bathroom. My favorite parts were the beautiful vanity and the super comfy king-sized bed. The hotel itself was bigger than any other I’ve ever seen. 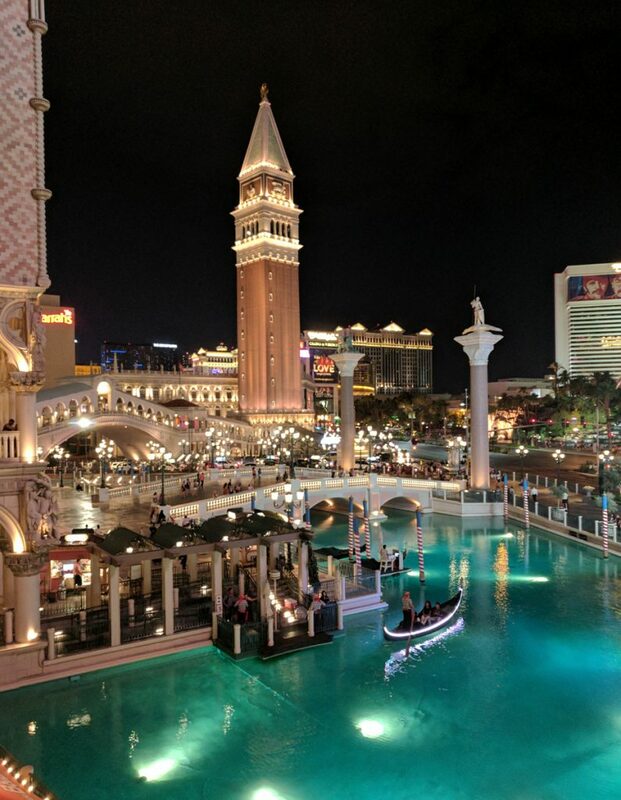 It is connected to the Venetian hotel and the two of them share a casino, swimming pools, a shopping mall, a theatre, and numerous restaurants and bars. 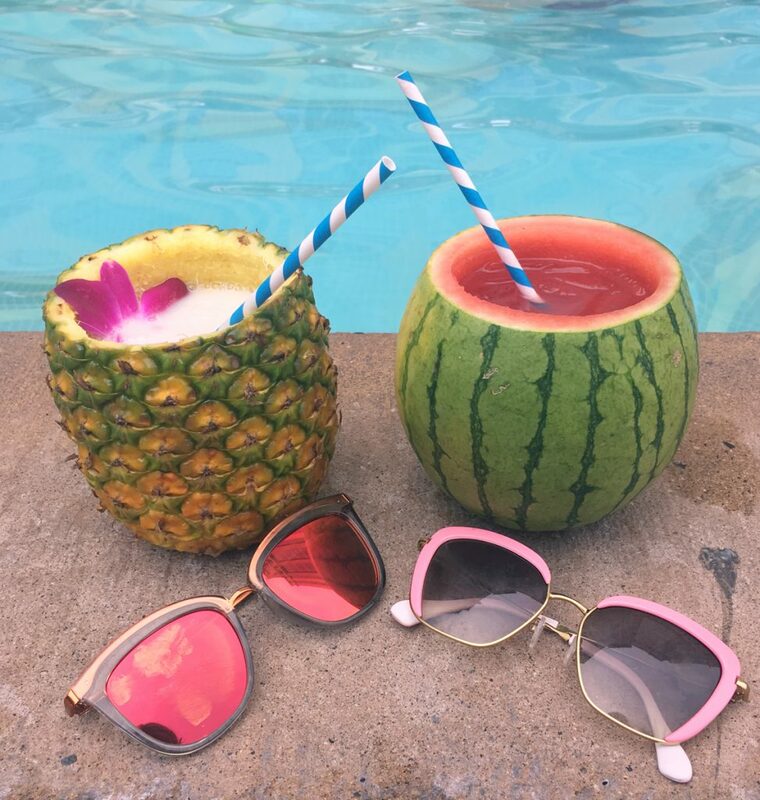 After settling into my room, I immediately went down to the Aquatic Club pool with my friend Stef from We Heart This. It was over 110 degrees that day so we spent most of the afternoon eating and drinking in our cozy, air conditioned cabana. All of the food and drink at the Aquatic Club is by Wolfgang Puck. We got a giant sushi platter and insanely delicious cocktails. 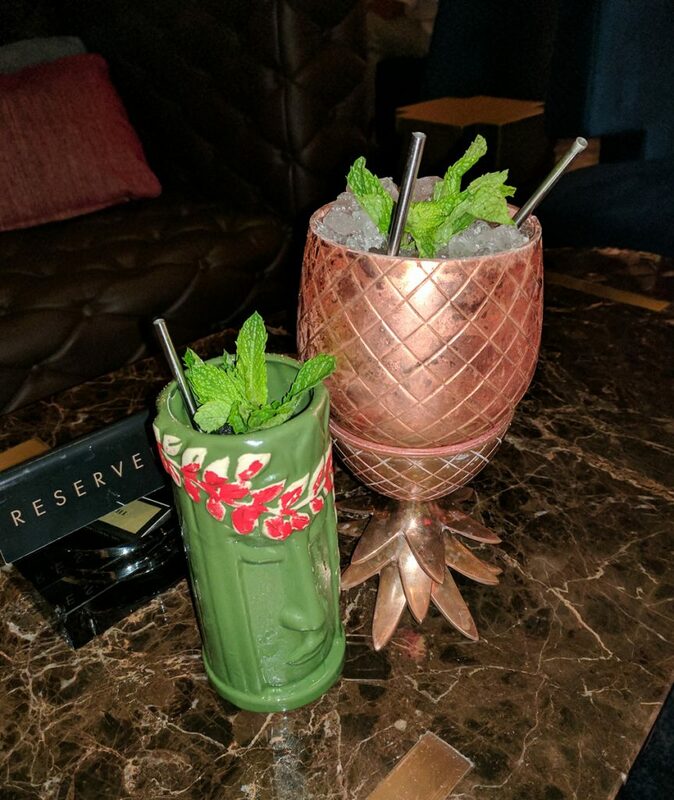 My absolute favorite was the Tee Time cocktail with watermelon juice, Absolute Lime, ginger, lime, and mint. I love that it came in an adorable mini watermelon! After going back to our rooms to freshen up, Stef and I headed to see a show at the Palazzo theatre called BAZ – Star Crossed Love. 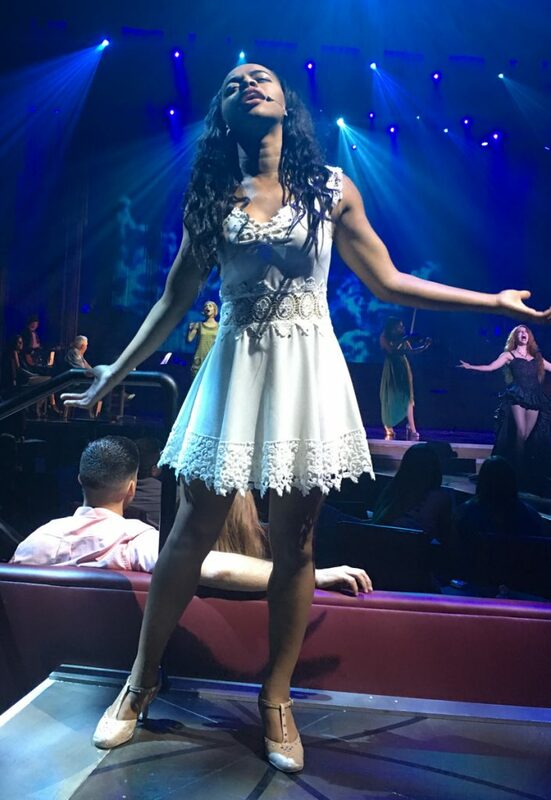 Since I had never seen a Vegas show before, I was really excited. It did not disappoint! 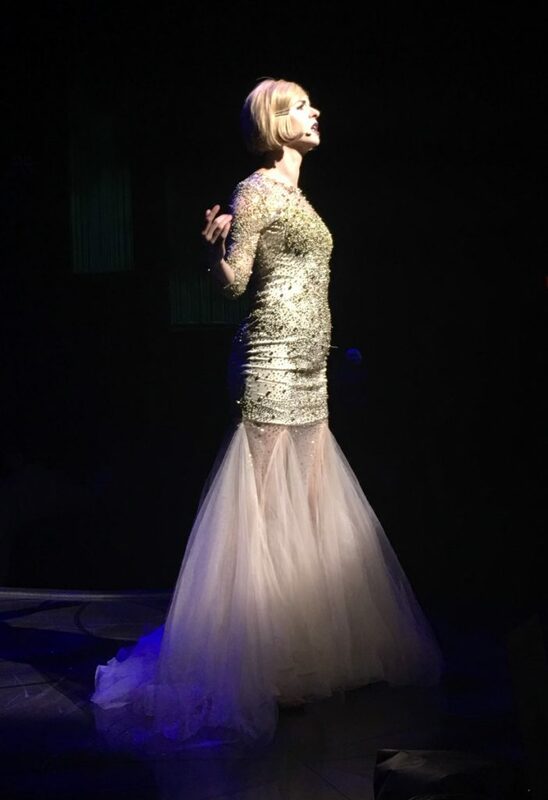 The show was a mash-up of music and moments from Romeo and Juliet, Moulin Rouge, and The Great Gatsby films by Baz Luhrmann. 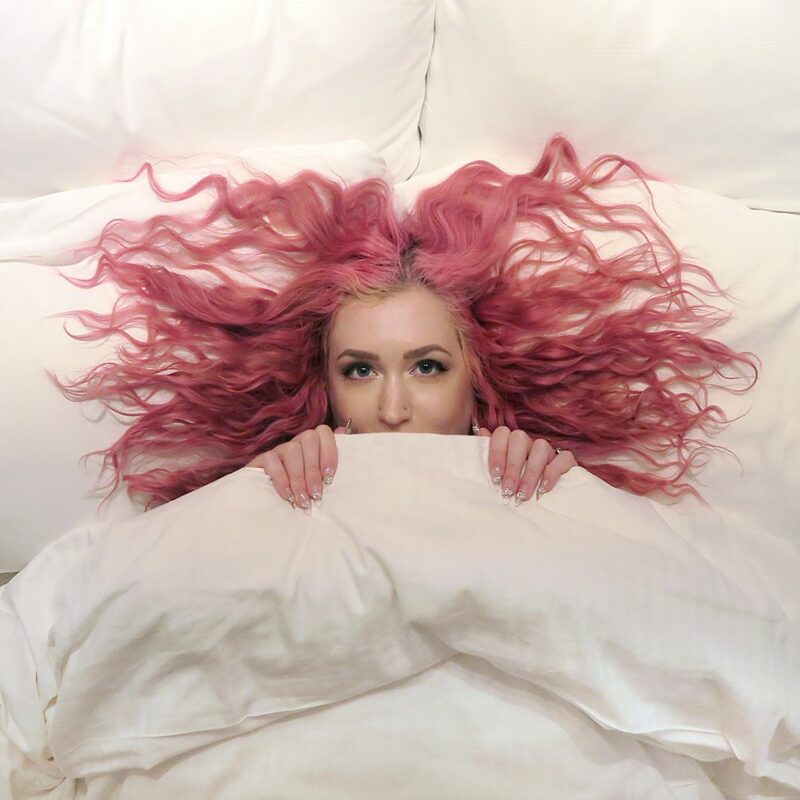 Some modern-day (like Nirvana) is mixed in which gives the show a really quirky feel. 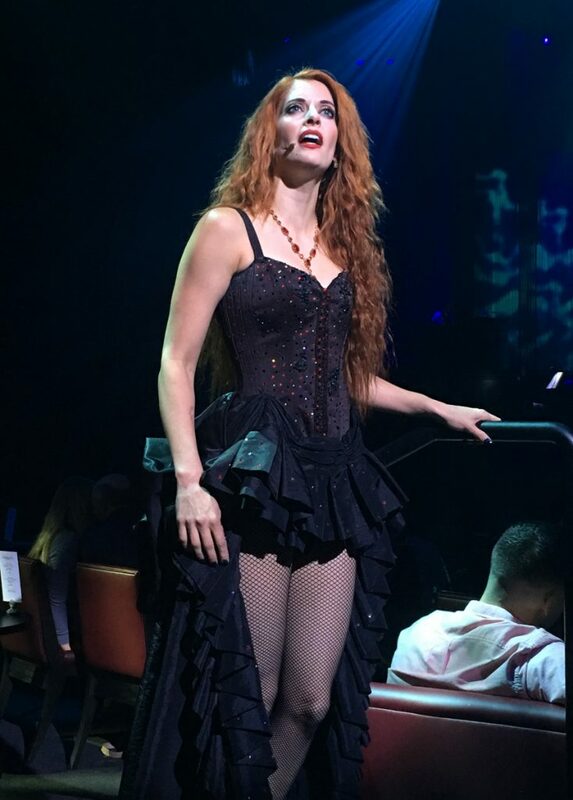 It was like a rock concert, cabaret act, and a Broadway musical all in one! The actors walked throughout the audience which gave it an intimate vibe. Once the show was over, Stef and I headed over to the Dorsey bar in the adjoining Venetian hotel to meet up with our friend Courtney from Phyrra for drinks. 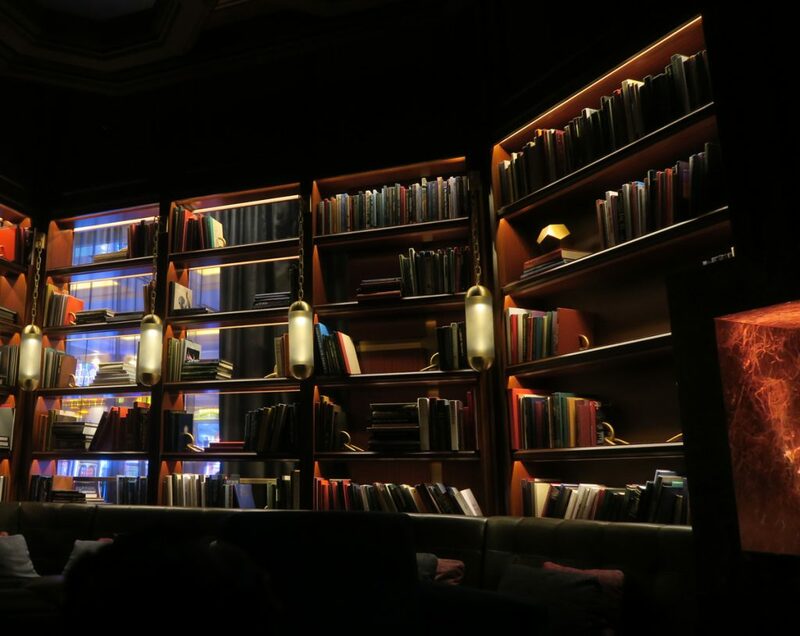 The whole bar looks like a library which I think is super cool and unique. The Mojito For 2 was my favorite drink! It came in a huge rose gold pineapple cup. The next day was all about work work work. Stef, Courtney and I walked the show for the entire day and chatted with tons of brands. Courtney’s step counter tracked that we walked over 6 miles (in my case, in heels)! It was a really interesting and educational experience. I was surprised to find that at least half the brands were not even interested in giving us the time of day. Since they were almost all very small companies looking for exposure, this seemed a bit strange to me. However, I did have a really great meeting with Kevin Murphy that day. In the evening, I headed back to the Dorsey again for a meet-up with a bunch of beauty bloggers and then went to Sushi Samba (also in the Venetian) with Courtney and Stef. 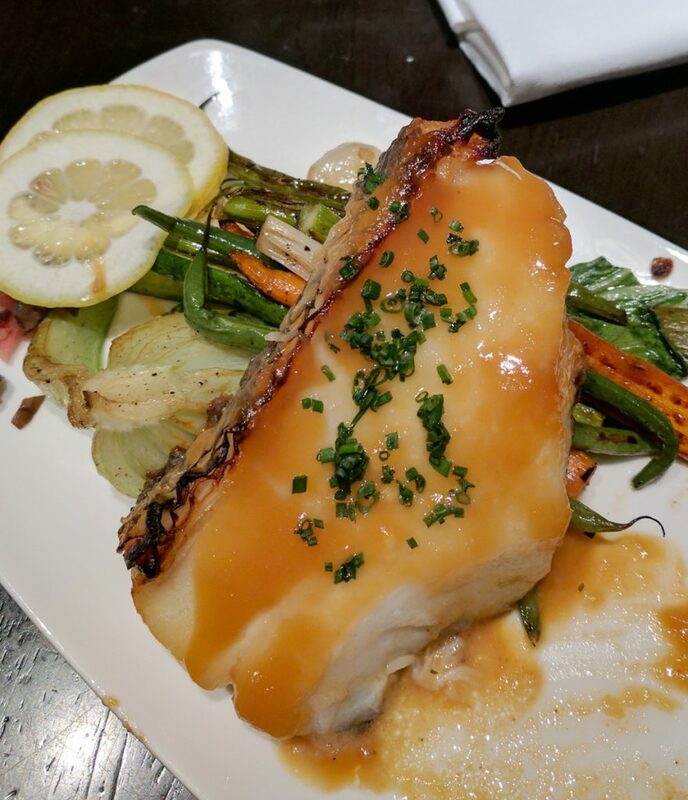 The Chilean Sea Bass at Sushi Samba is seriously out of this world!! On Monday we headed back to the show again to talk to more brands. I had an awesome meeting with Cle Cosmetics and am really excited to try their products. 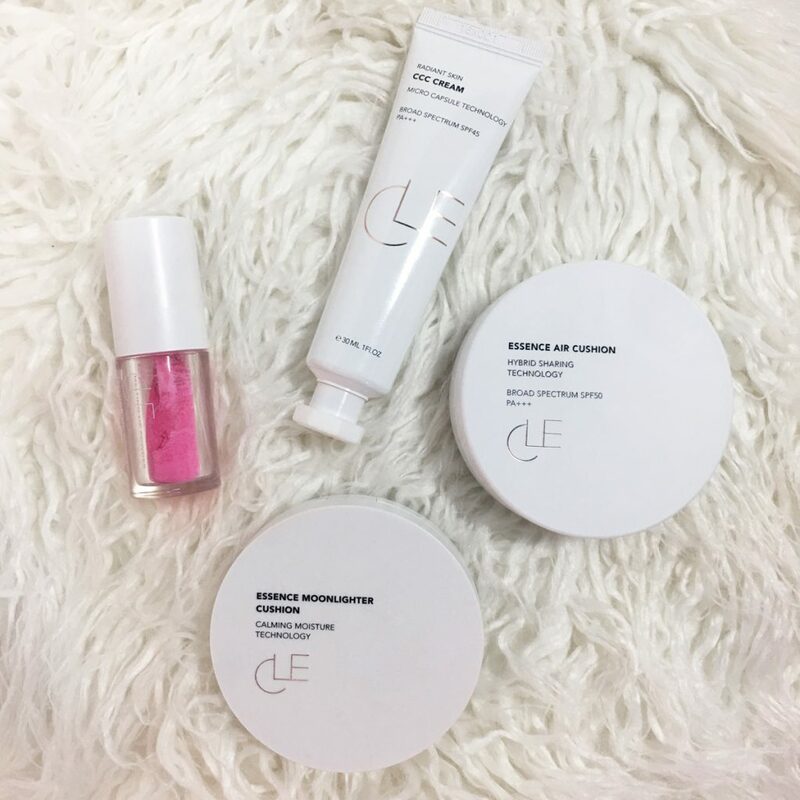 Cle Cosmetics is K-beauty inspired. 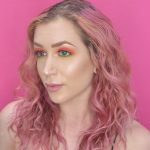 I got to sample their line and was SUPER impressed! Both their CCC Cream and Essence Air Cushion in light were perfect matches for my skin tone. They have SPF and leave my skin with the most beautiful radiant (yet non-greasy) glow. Their powder to liquid lippies are really fun too! 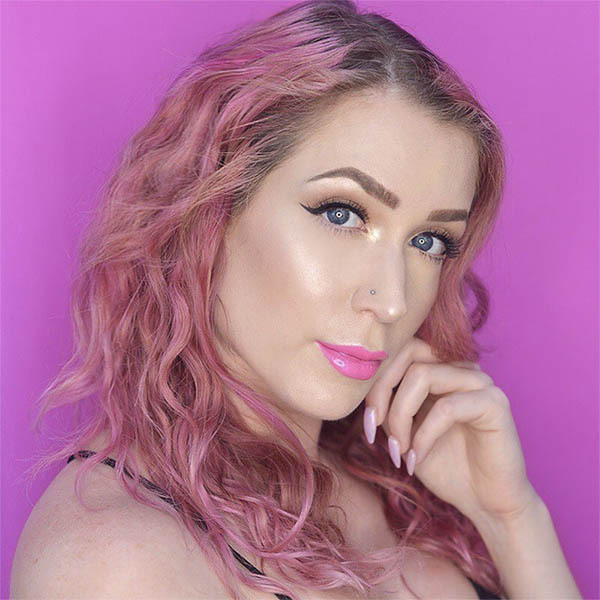 Some other brands I chatted with that day and was impressed with were Dr. Paw Paw, Saffron Secret, Eva NYC, and Mannakadar Beauty. 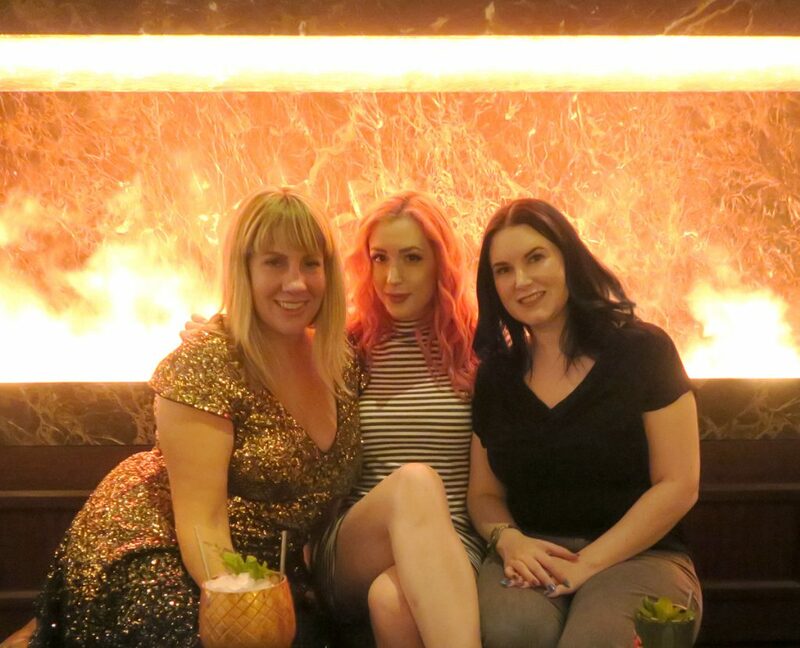 That night, Courtney, Stef, and I went back to Sushi Samba for one last hurrah! After eating and getting pretty tipsy (especially on my part), we decided to wander over to the Venetian’s massive Sephora to do a little shopping. I picked up the Kat Von D Lock It Concealer since it’s Courtney’s holy grail. So far I’m really impressed! Thanks Courtney! Tuesday morning, my girls and I got ready to leave. We were so sad to leave the beautiful hotel. Though it was wonderful getting to meet with so many great brands, the highlight of my trip was getting to bond with Courtney and Stef. 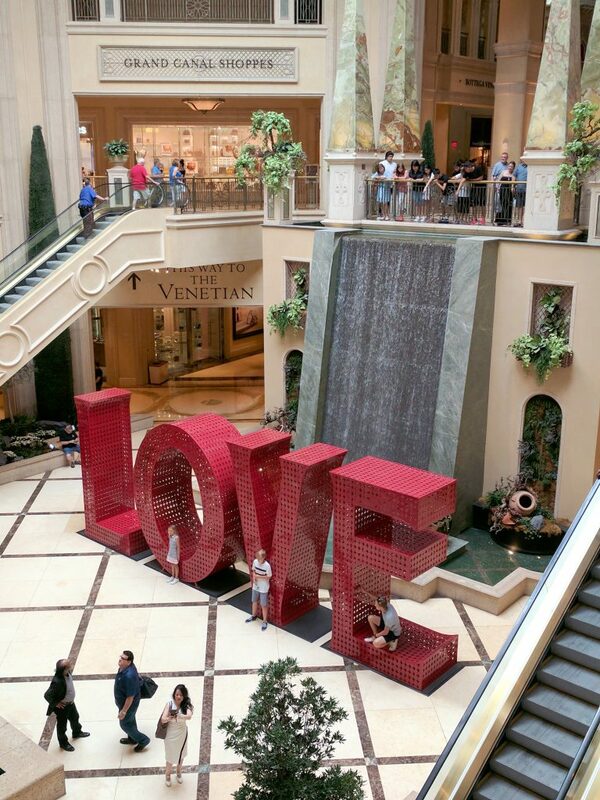 We had so much fun getting pampered by the Palazzo and are already thinking about what our next girl’s trip will be! Emily, amazing to meet you and love your writing. I’m so glad we connected! Your whole collection is beautiful and your team is super sweet! Side note about the sea bass…It was so good I actually had it 3 nights in a row!! looks like an awesome time! that hotel room is gorgeous!!! Wow – this looks like an amazing trip! I’m so sad I wasn’t able to join you ladies. Next year! And PS – don’t ever eat at Asakuma Rice in LA unless you want to almost die from food poisoning. Stunning pictures and such a beautiful post. I wanted to be in your trio. But then it would be a quad, lol. 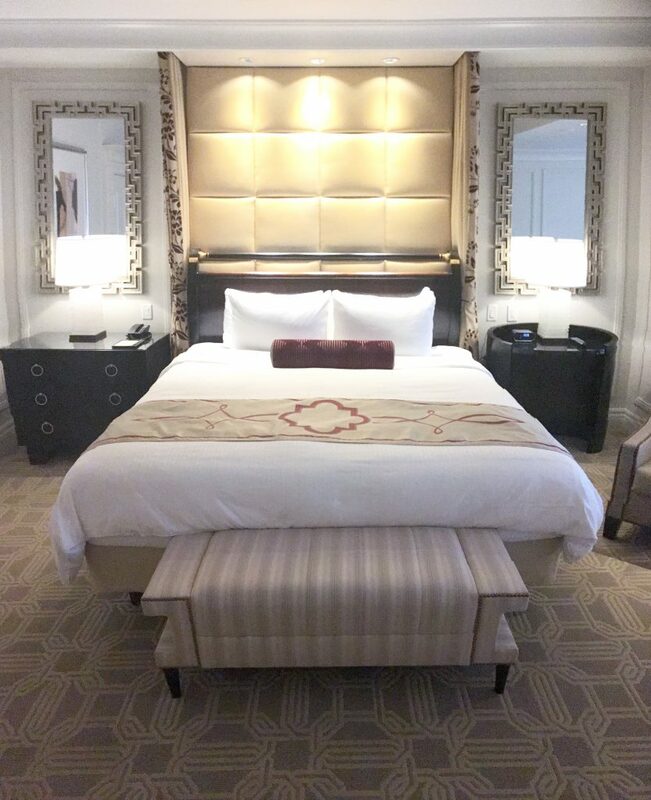 You really had the best room on the strip! We’re getting a new mattress after sleeping so well in ours.